As a child, I was always wimpy the day of my birthday because I had no friends to celebrate with. Being born mid-August in Italy means that either you or your friends are on holiday in that period. Growing up things changed and eventually I had some interesting birthday party, like my 31st birthday ‘hey daddy’ dance and my 32nd birthday at La Barra, Colombia. Little I knew that one day I would celebrate in Pekalongan, between batik motives and indigo natural colors. Pekalongan is a coastal town in East Java, Indonesia. Lonely Planet didn’t even go there (well, at least the latest edition – July 2016 – doesn’t mention it! ), but it’s the world capital of Batik and it’s recognized as Unesco Creative City. 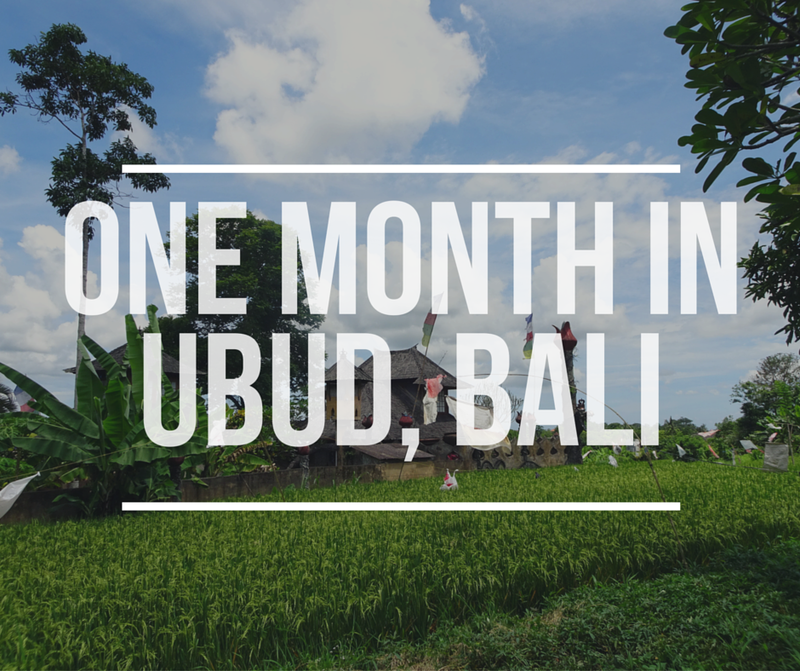 It’s a comfortable 4-hours train ride from Jakarta Gambir station. Actually, VERY comfortable as we got executive class meaning more leg space than the average Indonesian needs and power plugs available. Combined with 4G coverage, I had a very productive afternoon train ride. We were invited to stay at the Sidji Hotel: a heritage hotel, built by a wealthy family descendant of the Peranakan Chinese, the powerful and acculturated ‘Chinese of the Straight’ that migrated in the region in the colonial. It’s a really beautiful place and I played the neo-colonizer once again. During the weekend we explored the city. I was surprised to see so many bicycles around and I wonder: who were the first to bring them here? the Dutch or the Chinese? We visited the fish market early morning, and I mean really early (well before 9am!) but that day there was not enough catch to fire up the actions & auctions. The building was inhabited by some sleepy workers enjoying an unexpected day off, and some hungry cats. In the harbor, the colorful fishing boats were sleeping too. A bit outside of the city we found Mbak Jum (Ms. Jum) happily preparing a spongy bread made with rice flour, palm sugar, coconut milk and lots of serenity called serabi. That’s what her family does since three generations, and the result would make Adam Smith exclaiming ‘I was damn right about that work specialization theory!’. We also visited a brick factory, but instead of learning how they make the bricks, my nationality was questioned and, after a consultation, the workers decided that I’m a mix of different unknown ethnicities. For a moment I felt glad that we don’t have ethnicities in Italy: one less thing to think about when taking a break at work. Batik is an interesting technique used to color clothes using hand-draw or hand-stamped designs. Wax is applied to the cloth that is then submerged in dyeing color. Later on, boiling water is used to melt the wax away leaving the design with the original color. Well, that’s the short version of the story – batik can become extremely complex and tim-consuming when multiple layers of different colors are applied, an operation that can take months. Besides the beauty of the resulting clothes, I learned about the deep culture and tradition behind the batik… a whole new dimension! Different design patterns have different meanings and are used for different occasions. For example a wedding couple will wear a pattern signifying union, a newborn baby a pattern wishing a prosperous life, a high official a pattern signifying respect and rightness. There’s even a traditional batik cloth that is used to heal sick people. A naive superstition? It doesn’t seem so after discovering that it’s using a natural color coming from a medicinal plant… the fabric dyed with that color for long time is likely to carry some of the original plant’s properties! If a color can be associated with a person we met in our life, for me indigo will forever be associated with Pak Zahir. 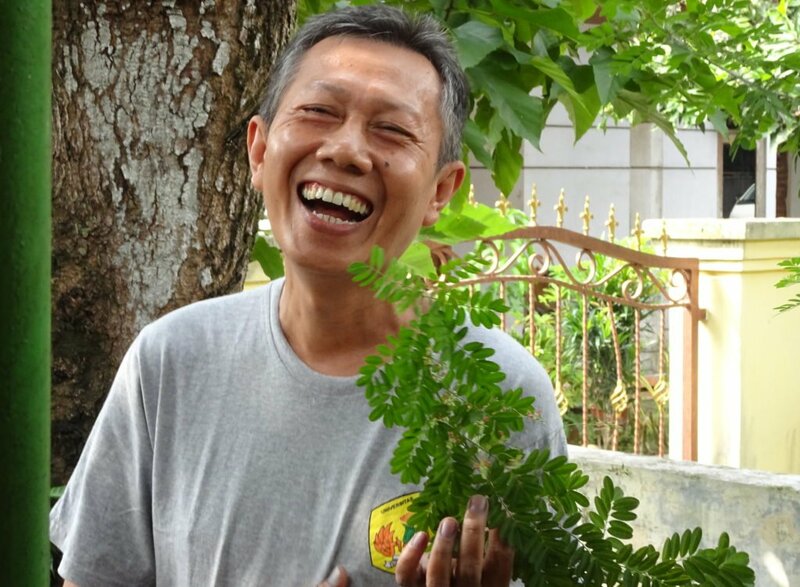 Pak Zahir is a batik lover, indigo enthusiast, ex-director of the batik museum and university professor at the batik faculty (yes, there’s such a faculty in Pekalongan!). 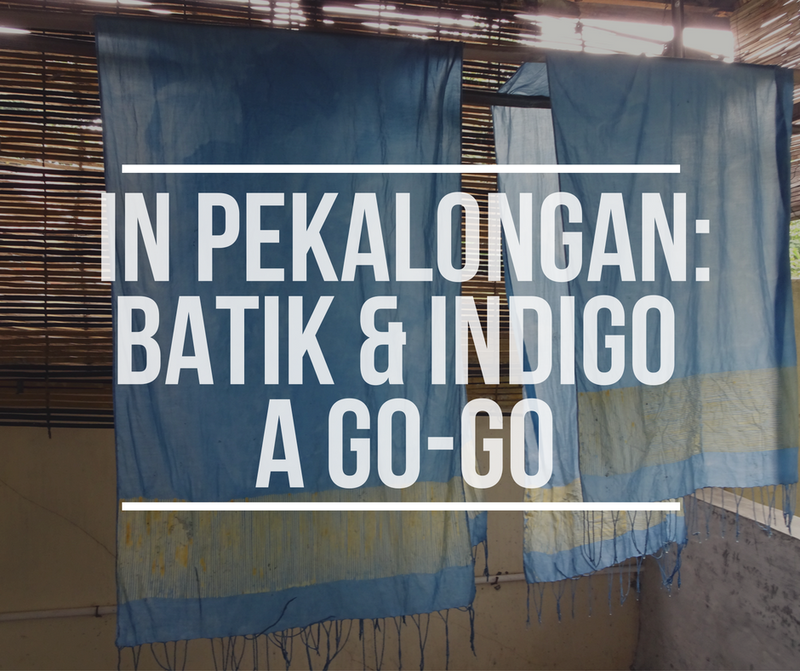 He welcomed us in his house and took us on a journey on the batik history, creation process, tradition, all with a blue tint – the indigo one. The indigo natural color comes from a plant – indigaforea-something – that is left fermenting in a mix of limestone’s powder and palm sugar till it becomes a sort of blue paste. Diluted with water and some more limestone’s powder, it’s the perfect solution for the dyeing process… let alone the terrible smell! My $3 mass-printed-produced batik bought in Jakarta wasn’t very appreciated in Pekalongan, or maybe was my blonde hair, anyway Pak Zahir was a fantastic host as he opened his house for us. You see, Zahir reminds me that why we do things is more important than what we do. He’s a man with a passion. A man with a purpose. Someone that choose to preserve a cultural heritage rather than speculating out of it. It was a real pleasure to spend time with him, as he spoke about family, about his life, about colors and indeed about batik. And not only spoke about it. I created my first batik! Stamping the most boring elegant pattern (lines) using a copper stamp dipped in wax, then dyeing the cloth in the smelly indigo color (two times, for a darker blue! ), then stamping some tribal design, and dyeing it again to create two different gradients of blue. The result, besides turning my hands blue and smelly, was visible only after that my batik assistant washed the masterpiece in boiling water to remove the wax. This was also my first ‘fam trip’, short name for ‘familiarization trip’. 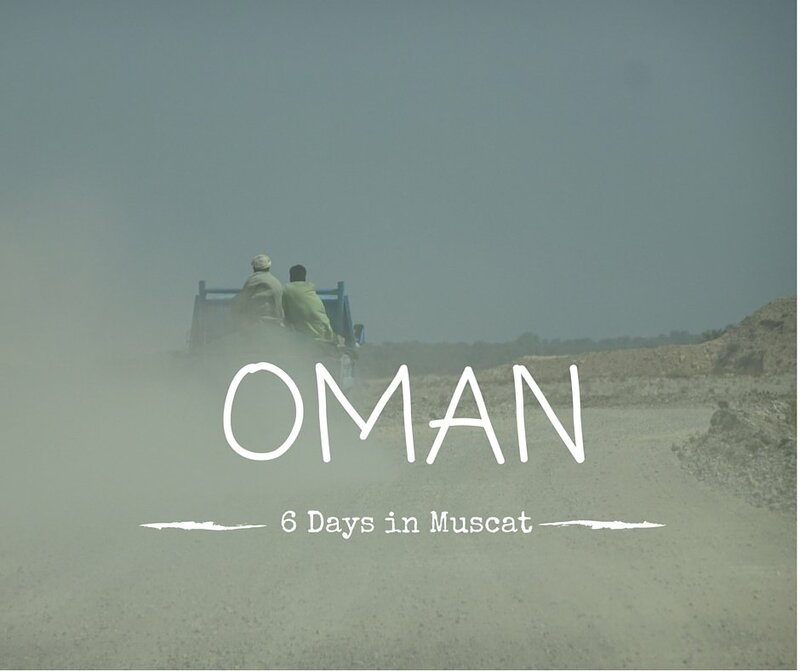 They are trips organized with the purpose to let bloggers experience a place and talk about it. That means that I was invited to participate, thanks to my batik assistant and pacar saya Hanny (she’s the real blogger!). Anyway, this is an honest report and I hope you enjoyed it. A big thank-you to Felicia Nugroho for promoting Pekalongan and the batik culture, and letting me have this wonderful experience… and unusual birthday celebration. Where did you have your most special birthday? Congrats on the batik, buddy, it looks really nice. You seem to have “batiked” your hair too, right? Have you considered indigo rather than blonde? I’ve been wanting to try Dutch blonde for a while! Thank you for reading and for teaching us. This is a nice post Daniele! Good work in the category less conventional travel writing or real travel blogging 😉 And the restyling of your website is also refreshing! Btw, you really decided to stop with the income reports? Good luck and buon viaggio. I want to write more about travels and less about money: it’s more fun and relaxing.